After a car accident, depending on its outcome, you may likely need the assistance of our local car accident lawyers. Our lawyers have the experience and means to take your car accident lawsuit from inception, through investigation, to trial and settlement if necessary. Read on to find out more about the legal options available to you if you are in the unfortunate position to be a car accident victim. I Was Injured in an Accident – Do I Need a Car Accident Lawyer? How do I pay for my medical expenses? Who will pay for my vehicle repairs? How can I get reimbursed for continuing treatment and care if the injuries I have sustained are major or catastrophic? How do I manage these and other expenses if I have to take time off work or quit my job altogether? The answers to these questions can have a significant impact on your life, and the lives and well-being of your family members. TorkLaw‘s car accident lawyers have a comprehensive and nuanced understanding of car accident law, which comes from our extensive experience in handling a variety of car accident cases. We provide compassionate, comprehensive customer service and skilled legal representation to our clients. Our results are a testament to our tenacity, resourcefulness and knowledge. The actions you take and the decisions you make after a car accident can be critical to the outcome of your claim. 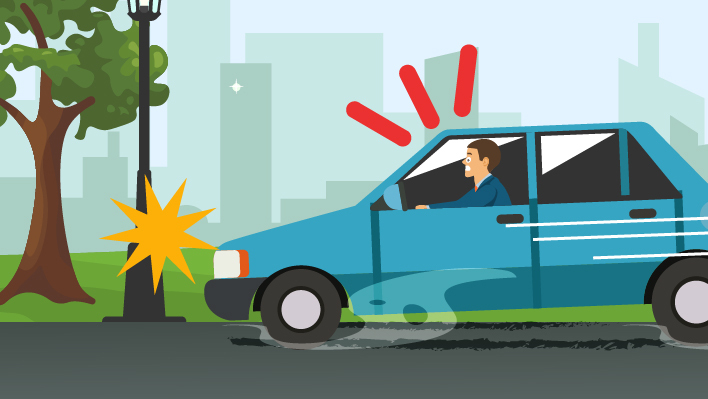 Here are the crucial steps to take in the aftermath of a major car accident. File a police report. Remain at the scene of the car accident and contact the police. When they arrive, recount your version of the accident to them so that it goes into a police report. You should also get the badge number and the name of the responding officer and his or her department. The police report is typically available at the department a few days after the incident. It is important to obtain a signed copy for your records. If you are injured and unable to do this, your lawyer can help obtain the police report for you The report will have important details including date, time and location of the car accident as well as a narrative written by the officer containing his or her assessment of the incident. This may prove to be a valuable piece of evidence for you. Gather and preserve evidence. Physical evidence at a car accident site may include debris from the vehicles that were involved, torn or bloodied clothing, skid marks from the tires, etc. If you or someone else is able, take photos and video footage at the crash scene showing the location and position of the vehicles. Obtain information from other parties involved including driver’s license, vehicle insurance details, license plate number, contact information, etc. If possible, talk to other people at the scene who may have witnessed the crash. These individuals may disperse soon after the accident, so it is vitally important to speak to them right away and get their contact information should you need to speak to them later. Eyewitness accounts are extremely valuable as they could help corroborate your statements throughout the case. The vehicles themselves are also critical pieces of physical evidence, which must be preserved for examination. Often in such cases, a crash reconstruction expert will collate all the pieces of evidence to effectively present an account of why the crash occurred or how it all happened. An experienced car accident lawyer can help preserve vital evidence by writing a spoliation letter to the relevant parties. This helps ensure that the evidence in a car accident case is not misplaced, lost or destroyed in the aftermath. Receive prompt medical attention. If you have been injured, it is important to accept treatment at the scene and ask to be transported to the nearest hospital or emergency room. Even if you believe you haven’t suffered serious injuries, our car accident lawyers strongly recommend that you pay your doctor a visit. Some injuries sustained in car accidents, such as whiplash, don’t manifest immediately, and it may take days or weeks for you to feel the symptoms. When you get prompt medical attention, you increase your chances of a quicker recovery — and you also generate a record documenting your injuries and the treatment you received. This prevents a “gap in treatment” that might work against you. File the necessary reports with the Department of Motor Vehicles. For example, in California, if a car accident results in injury or more than $1000 property damage, all drivers involved are required to submit an SR-1 form to the DMV within 10 days. Be careful about what you say. It is in your best interest to call your insurance company and report the details of the crash. However, you should refrain from speaking with the other parties’ insurers or their defense attorneys. Remember, anything you say can and most likely will be used against you. Don’t post any details about the incident on social media or online (i.e., written posts, photos or videos). These may also be used against you. In fact, it would be best to suspend your social media and similar online activity until your case is resolved. Contact an experienced car accident lawyer. Retaining the services of a knowledgeable injury lawyer is essential if you have been injured. Many injured car accident victims are forced to stay away from work until they recover, which means they lose income for an extended period. This is why car accidents are not just physically traumatic, but also emotionally and financially draining for victims and their families. You need an experienced advocate on your side, who will fight for your rights and help your claim move quickly through the process so you can get the compensation you rightfully deserve. Click here for a printable infographic on What to Do After An Accident that you can keep in your vehicle as a reminder. In any personal injury case, negligence is a major factor when it comes to establishing fault and liability. A vast majority of car accidents are caused by human error, carelessness or deliberate wrongdoing. Motorists have a responsibility to operate their vehicles safely and owe a duty of care to everyone else, including their own passengers and all other road users. In order to receive compensation, plaintiffs or the injured victims in car accidents, may have to prove that the other party was negligent. Drunk or drugged driving: When a driver is impaired by alcohol or drugs, his or her judgment is compromised, which increases the risk of a car accident. When a driver causes a car accident while under the influence, he or she can be held financially responsible for the victim’s losses. However, the driver doesn’t have to be charged with driving under the influence for you to claim negligence. If he or she had been drinking and caused the accident, then that would amount to negligence. 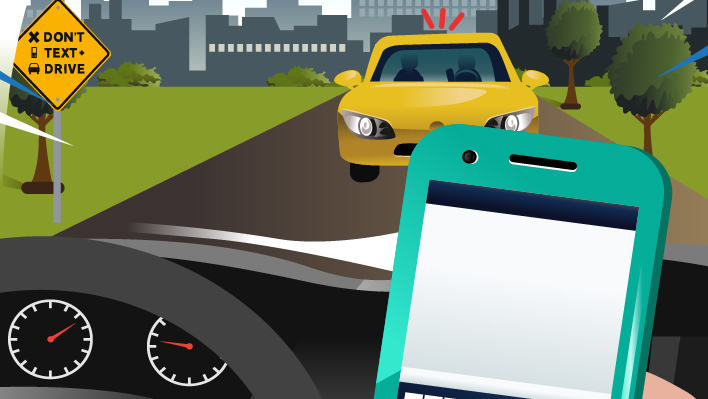 Distracted driving: The National Highway Traffic Safety Administration (NHTSA) defines a distraction as any activity that causes drivers to take their eyes off the road, their hands off the wheel, or their attention away from the act of driving. These distractions include such activities as eating, drinking, grooming, using a cell phone, fiddling with the radio or GPS, talking to a passenger, or holding or having an unrestrained pet in the car, among others. Drowsy driving: Not many drivers realize they are being negligent when they drive when fatigued or sleepy. Fatigued driving has the potential to cause catastrophic or even fatal crashes. Driving while drowsy affects your ability to operate the vehicle safely as your attention, reaction times and ability to make good decisions may be seriously compromised. Drowsy driving amounts to negligent driving, and fatigued drivers can be held liable for the car accidents they cause. 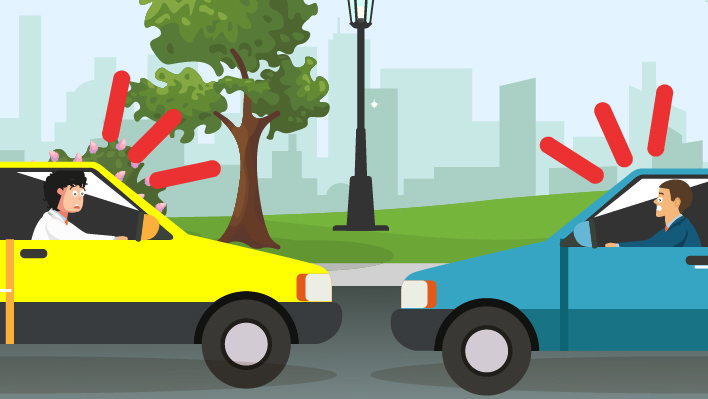 Violating rules of the road: As drivers, we have a legal obligation to follow the rules of the road including stopping for red lights and stop signs, yielding the right-of-way to other vehicles and pedestrians, making safe turns and lane changes, observing the speed limit, and so forth. 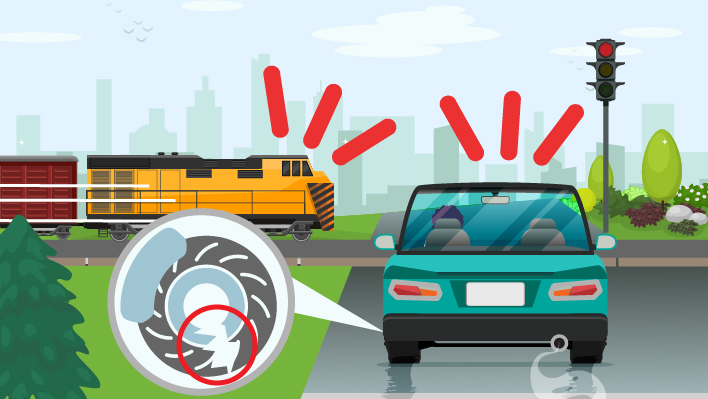 When drivers intentionally or inadvertently break these rules and cause an accident, they can be held financially responsible for the resulting injuries and losses. Defective autos: In many cases, a defective vehicle or part, such as a defective tire or airbag, may cause, contribute to, or worsen the effect of a car accident. In such cases, the automaker or the manufacturer of the defective part can be held accountable for the injuries, damages and losses caused. The value or worth of your claim will depend largely on the nature and extent of your injuries and the degree to which the defendant was negligent. Every car accident case is unique and there is no clear-cut formula to determine the worth of your case. However, here are some of the factors that influence the amount of damages you may be able to collect. Vehicle damage: Your insurance company will assess of the damages to your vehicle. This is something that will likely be included in your car accident claim. You will be able to seek reimbursement for any repairs that were done on your vehicle or, if your car was totaled, the cost of a replacement vehicle. Medical expenses: You may seek compensation for all medical expenses resulting from the accident, including ambulance transportation, emergency room costs, hospital visits, surgery, cost of medication, medical equipment, and more. You can also seek compensation for any type of ongoing rehabilitative therapy you may need to recover completely such as physical therapy or chiropractic care. Lost income: This includes any wages or income and benefits you may have lost as a result of your injuries. You may also include lost earning capacity or loss of livelihood. This is often the case where victims have suffered catastrophic injuries such as amputations, paralysis or traumatic brain injuries and are unable to return to work or earn a livelihood. Pain and suffering: These are known as non-economic losses or damages that cannot be easily quantified. This includes compensation for the physical pain and discomfort you experience after the accident, as well as emotional suffering. Many car accident victims suffer from psychological issues such as depression and post-traumatic stress disorder or PTSD. An experienced car accident lawyer can help you document all your losses and assist you with determining the value or worth of your claim. It is also crucial that you don’t sign any documents or enter into agreements without consulting your lawyer. Doing so might jeopardize your ability to seek full compensation for all your losses. In serious injury cases, it might take several months for a complete picture to emerge. If you rush into a settlement with the insurance company, your case will be closed and you may not be able to seek any further compensation. The importance of hiring of a knowledgeable and skilled car accident lawyer cannot be overstated, especially in cases where victims have suffered serious injuries or have lost a loved one. We realize that car accidents have an impact not just on the victims, but also on their family members. Our attorneys have a comprehensive understanding of car accident law, and a successful track record of representing car accident victims. At TorkLaw, we pride ourselves on going the extra mile for our clients and treating them with dignity, respect and compassion. We have been able to help numerous clients receive fair and full compensation for medical expenses, lost income and other losses sustained in car accidents. If you or a loved one has been injured in a car accident, please call TorkLaw to obtain more information about your legal rights and the options at your disposal. We offer free, comprehensive and confidential consultations.